He was born in Kashi around 1700 BC. 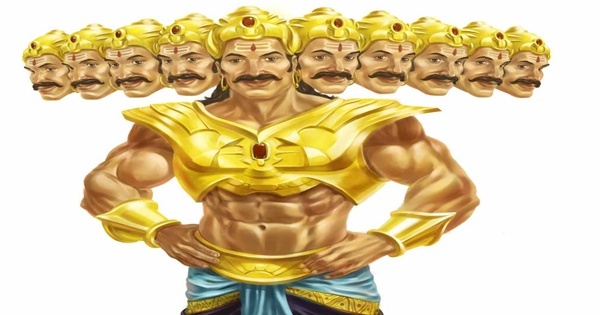 The Mahabharat claims him to be the son of Rishi Vishwamitra. 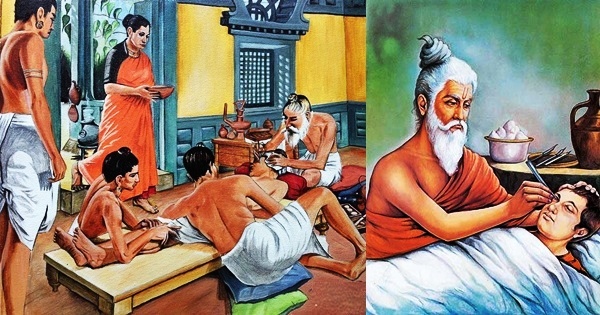 His Guru from whom he learnt the art of surgery and medicines was Divodas, the then king of Kashi. In later years, he lived in the coastal region of the present state of Andhra Pradesh. He resided for some time in the Himalayas. He was the author of Sushrut Samhita that contains 184 chapters in its extant form on medicine and surgery. All of his detailed accounts of surgery that he described in his book are amazingly accurate. His description of medicines and cure has enlightened physicians far and wide. He was Sushrut. Medical profession in India and the world has indeed survived from ancient Bharat based on two Hindu texts. One is Sushrut’s Sushrut Samhita and the other is Charak’s Charak Samhita. Sushrut’s book describes in detail various aspects of surgery and medicine, right from surgical training and procedure, use of instruments to medicines for almost every cure. Do you know Sushrut was the first surgeon in human history to recommend students of surgery about dissecting a dead body to learn about human body and its organs? He suggested incision studies on different vegetables like bottle gourd, squash, cucumbers, etc. For fluid based incision studies, he recommended using of bladders of dead animals and leather bags filled with fluids. 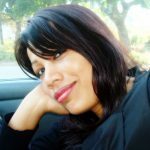 Sushrut Samhita describes 300 types of bones in the human skeleton. Right from making incisions, rhinoplasty, labioplasty, hernia surgery, fracture management to tooth extraction, sliding/rotation/pedicle graft, excisions, removal of prostate gland, fitting of prosthetic, Sushrut describes all of these and more in his book. For a nose that is accidentally cut off, Sushrut recommends reconstructing the nose using a flap of skin from the cheek. He is also called the father of cosmetic surgery. He effortlessly performed caesareans and executed complex surgeries like joining of artificial limbs, removing urinary stones, etc. He performed all of these surgeries thousands of years ago! And the legacy has been passed on generation after generation, century after century. 9. He explains the technique of cataract surgery and classifies different types of eye diseases. The fitness mantra you follow today was actually recommended by Sushrut thousands of years ago. He has recommended exercise and walking as part of a fitness regime and a patient’s treatment course. He advocates performing of regular moderate exercise for resistance to diseases and to maintain a youthful look. Sushrut Samhita also advocates constant study of the Veds as part of a patient’s healing process. In his book, Sushrut has considered the cow as sacred. His book also finds mention of several Hindu gods such as Brahma, Rudra, Indra including the Hindu scripture, especially the Veds. 1. In Tibetan literature, he is recognized as a medical authority. 2. During the early 8th century in Baghdad, Sushrut Samhita was translated to Arabic as Kitab i-Susurud. Yahya ibn Khalid, a member of the powerful Persian Barmakids family, facilitated the collection and translation of Sushrut Samhita including other ancient Sanskrit texts. Barmakids originally were Iranian Buddhist leaders who attained immense political power under the Abbasid caliphs of Baghdad. By the end of the medieval period, the Arabic translation of this ancient treatise on surgery and medicine reached Europe. 3. During the last part of the 9th century, Khmer king Yasovarman I of Cambodia read Sushrut’s book. Yasovarman’s Guru’s Guru, Sivasoma, was connected to Adi Shankara, a great Indian saint, philosopher, and theologian who consolidated the doctrine of Advaita Vedanta. 4. Bower manuscript in Chinese finds mention of Sushrut as one of the 10 sages from the Himalayas. The Bower Manuscript is a birch bark manuscript in Sanskrit discovered near a ruined Buddhist monastery near Kuchar in China. One of the oldest surviving manuscripts in modern era, it dates back to the Gupta period – the last few years of BCE. We follow the dictum, ‘prevention is better than cure’. This dictum was actually followed by Sushrut diligently. He advised and advocated his patients to focus more on preventing diseases from victimizing them. He considered preventative care to be as important as curative remedial procedures. Note: Sushrut’s birth year is considered as pre 600 BC, going by few references. But according to Vedveer Arya’s book Chronology of Ancient India, he was born around 1700 BC. Vedveer Arya provides various proofs to justify his conclusion of this date. Many doctrines of Sushrut Samhita were known to ancient Indians traditionally. Shatapatha Brahmana (3000 BC) refers to certain doctrines of Ayurveda mentioned in Sushrut Samhita but the author of Shatapatha lived earlier than Sushrut. Katyayana-Vararuchi, the author of Vartikas on Panini’s Ashtadhyayi and Pantanjali, the author of Mahabhashya were the earliest who mentioned Sushrut. Buddhist philosopher Nagarjuna also mentions Sushrut in his treatise Upayahridaya. Vararuchi lived around 1700 BC during the reign of Nanda Dynasty whereas Patanjali was the contemporary of Pushyamitra Sunga (1472-1412 BC). Nagarjuna lived in the 12th century BC and he was a contemporary of Kushana Kanishka. Therefore, Sushrut must be dated beyond 1700 BC. Our reverence to the legendary scholar of medical science! 2. An English Translation of the Sushruta Samhita in Three Volumes, (Volume 1, Archived by University of Toronto)’ Kaviraj KL Bhishagratna. Manoshi Sinha is a writer, poet, blogger, and avid heritage traveler; Author of 8 books including 'The Eighth Avatar', 'Blue Vanquisher', 'Saffron Swords'.